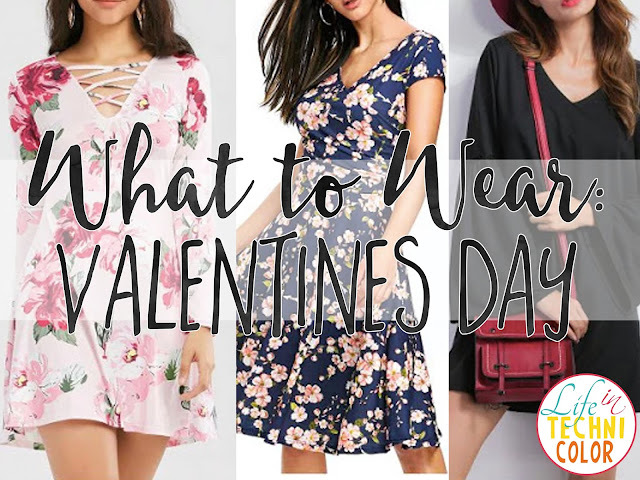 Since Valentines is just around the corner, I thought it'd be fun to do a post on what to wear for Valentines Day. 1. 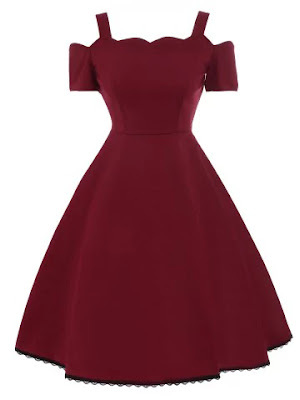 This A Line Lace Trim Vintage Skater Dress in Wine Red is just gorgeous. Just check out that scallop detail! I love, love this one, and I think it would look really flattering on any body type. 2. This Backless Halter 1950 Vintage Spotted Dress in Black screams VINTAGE! 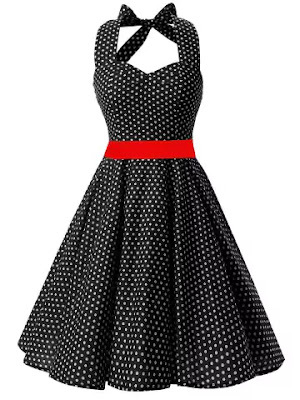 I'm obsessed with polka dots and florals, so when I saw this, I just couldn't resist adding it to my wishlist! 3. 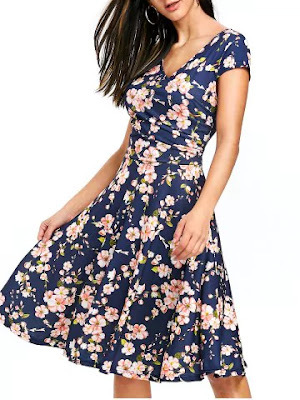 I absolutely love this Surplice Floral Printed Skater Dress in Purplish Blue. 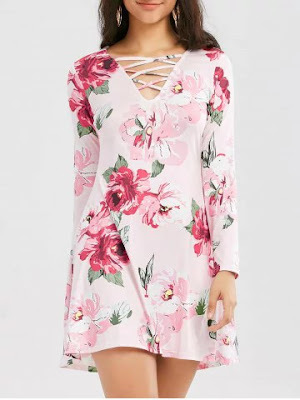 Normally, I wouldn't go for dresses like this because they usually come in small sizes, but that's what's great about Rosegal.. Would you believe they have this up to 2XL? Size charts as well as the model's stats are available on the bottom of each item page so you have a better idea on which size will fit you best. 4. This Long Sleeve Criss Cross Floral Print Dress in Pink is so, so pretty! Aside from polka dots, I also love floral prints (as you can probably tell from my last two picks haha). This one comes off as light and carefree - pair it with some statement earrings and you're good to go! 5. This V Neck Bell Sleeve Shift Mini Dress in Black is perfect for casual dates. I don't usually go for really fancy and fitted dresses, so this black boho number would be perfect with the right accessories.